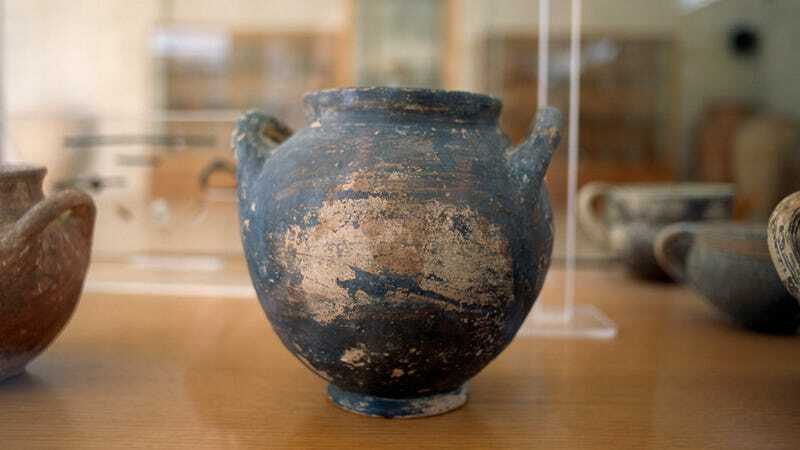 NEW YORK—Heralding the 2,200-year-old fired-clay container as a priceless addition to one of the world’s largest collections of same, the Metropolitan Museum of Art held a press conference Friday to announce the acquisition of yet another vase. “We’re more than thrilled to add one more intricately designed vase from either late Greek or early Roman times. Could be Phoenician, really. We’ll have to check. At any rate, it shares many of the same basic characteristics as other vases in our possession, distinguishing itself through slight differences that you no doubt will be easily able to discern,” said museum director and CEO Daniel Weiss, noting that the ceramic piece would be placed on display in the passageway between the “Interminable and Labyrinthian Galleries of Asian Art” and “Stacks and Stacks of Musical Instruments” wings. “We look forward to our visitors spending 10 or 12 seconds blinking at this excellent example of a vase, and perhaps even reading its placard in the hope of learning something uniquely interesting about it, but most likely it will simply read ‘vase’ and list a general time period for its creation.” The Met also took the opportunity to announce the acquisition of a bunch more old coins.